despairing that your situation will improve? You may find it difficult to hope, but God has a good plan for your life. Walking on Broken Pieces will bring you that hope. You will see that God only broke you to make you better. God knew your beginning and ending before you were formed in your mother’s womb. 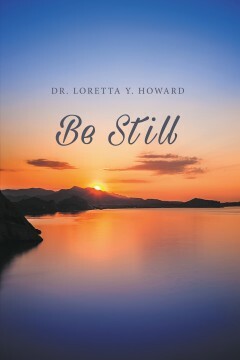 Dr. Loretta Howard experienced her own devastating times of financial hardship and loneliness. through it all she found God able to provide for her needs spiritually, physically, and emotionally. 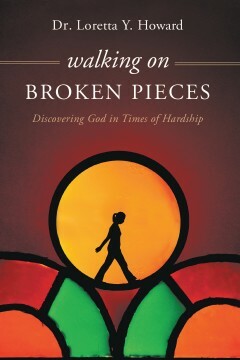 As she was Walking on Broken Pieces, God encouraged and strengthened her. Discover the call of your heart and accept encouragement for your time of need through this touching testimony of God’s grace as you create a closer relationship with God and find your way out of your brokenness. Dr. Loretta Y. Howard graduated from Bethune-Cookman University in Daytona Beach, Florida, with a Bachelor of Science in Elementary Education. She taught public school for eighteen years. She gave her life to the Lord at the age of twenty-eight. Loretta is a widow, mother of five, mother-in-law of two sons, and grandmother of nine and lives in Jacksonville, Florida. She is a member of First African Missionary Baptist Church in Green Cove Springs, Florida. She received her Doctor Of Divinity Degree from St. Thomas Christian University in Jacksonville, Florida. In this life there are times you seem to feel as if all hope is gone and there is no way out. You try everything you know, you pray, talk to family, and friends, but still things do not change. 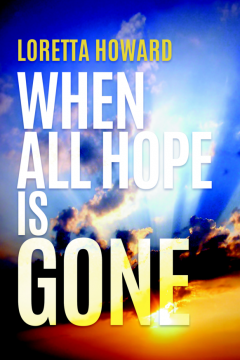 Well, this book can help you to get through hopelessness. There are life experiences listed by the author’s own life that will encourage you to hold on to God’s powerful hand. LORETTA Y. HOWARD. She is a born again Christian, an ordain Minister, mother of five children, grandmother of 7, and great grandmother of 1. She lives in Jacksonville, Florida and was educated at the local schools of Green Cove Springs, Florida. She earned a Bachelor of Science degree from Bethune – Cookman University in Daytona Beach, Florida. Her major was Elementary Education. She taught in the Duval County School System for 20 years. She has authored 5 other books. Walking on Broken Pieces, Growing In Ministry, Women Suffering In Silence, Time to Change the Way We Do Church, and Be Still.